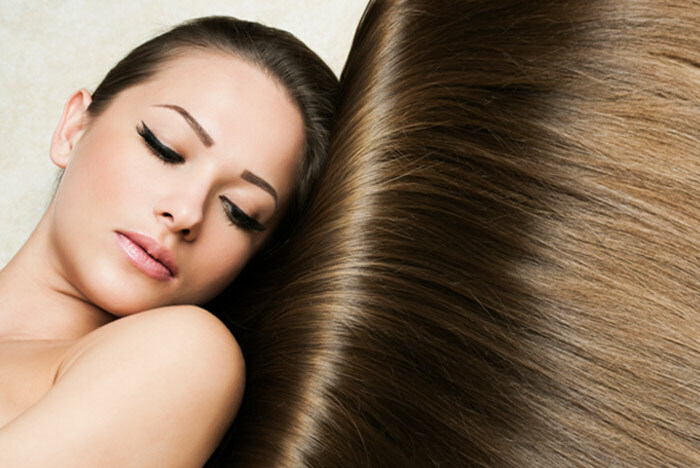 Having healthy, shiny, voluminous hair is the ultimate desire for every woman. To get their desire fulfilled, we resort to using different products which claim to get them desirable curls. But at times, these products also fail to produce expected results, and their hair start falling out or become dry and brittle. Have you ever wondered why does it happen? The answer is, Nutritional Deficiencies!!!! If you want to have strong, shiny and thick locks, you got to make sure that the diet you consume routinely is healthy, balanced and highly nourishing. A balanced diet with adequate amounts of essential vitamins, minerals and other nutritional elements strengthen your hair and boost its growth rate. In addition, it also helps in preventing further hair-loss provided that the main culprit behind the issue is a poor diet. Listed below are some nutrients for healthier hair. Do add these nutrients in your diet and get a head full of healthy, glossy, voluminous hair. Proteins are the building blocks of every cell, tissue and organ in our body, especially our hair. While there are some twenty essential proteins present in our body, a few of them are not produced naturally by our system. Hence, one has to make sn effort to consume it on a daily basis since failing to consume enough protein diminishes your body’s ability to produce new hair follicles which in turn holds up the growth of healthy hair. Other side-effects of protein deficiency include lackluster, brittle hair and even hair discoloration. So, make sure to follow a protein-rich diet in order to keep your protein levels are in a healthy range. Whole grains, beans, legumes, nuts & seeds, eggs, lean meats and dairy as well as poultry products are rich sources of protein. Sea fish like salmons are high in Omega 3 fatty acid. This essential fatty acid helps to augment the luster and sheen of the hair. Besides, it also strengthens the roots of the hair while preventing hair loss. There are several vitamins needed for the proper functioning of the body as well as for healthy hair growth. These are vitamin A, C, E and all B vitamins like B6 and B12, Biotin, Folic Acid, etc. Additionally, MSM can also be used to prolong the growth phase of the hair naturally. Vitamin A: It is imperative since it doesn’t let the sebum-producing gland, sebaceous gland, get clogged or dried out. Sebum lubricates the hair follicles and hence contributes to the growth of naturally healthier hair. A vitamin A deficiency affects the sebum production causing your scalp to get overly dry giving way to the occurrence of dandruff and other scalp issues which ultimately lead to hair loss. Look for complete vitamin A source in foods like carrots, mango, sweet potatoes, pumpkin, and spinach. Vitamin B: As mentioned above, all types of vitamin B are vital for robust hair. Deficiency of B vitamin leads to premature graying, hair loss and excessive oil production. Moreover, it also slows down the process of cellular repairing in the body. 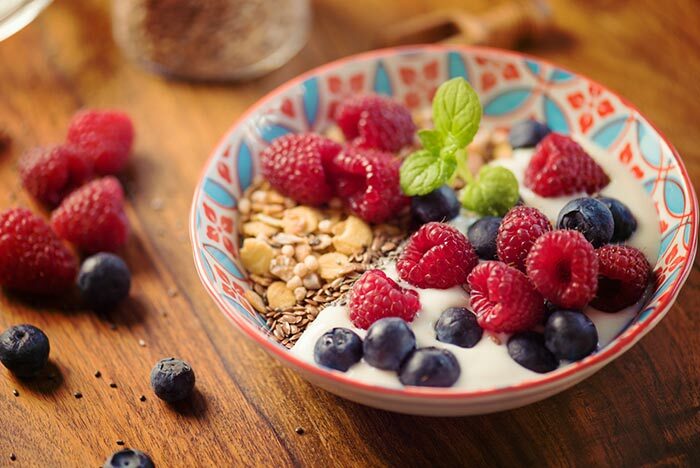 Include whole grains, beans and lentils, potatoes and bananas in your diet in order to keep up the level of vitamin B in your body. 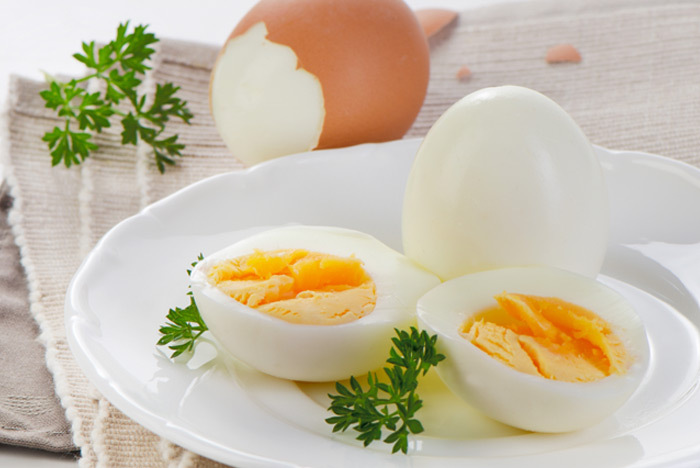 Eggs are full of Vitamin B12, and B7. Vitamin C: Vitamin C helps to maintain the collagen levels of the body. Collagen is a group of essential proteins responsible for keeping all the tissues of our body connected and firmly packed. Those lacking vitamin C in their body may experience hair breakages and split ends. So, to keep the split ends at bay, you have to consume a meal containing enough vitamin C such as citrus fruits, broccoli, strawberries, and peppers. Vitamin E: This vitamin is responsible for regulating circulation in the body and scalp as well as supplying enough oxygen to different parts of the body. When scalp receives enough circulation your hair becomes stronger and less susceptible to breakage. Green leafy vegetables are an ultimate source of vitamin E; do incorporate it in your routine diet. Low levels of essential minerals such as Iron, Potassium and Zinc also affect your mane adversely, making them frail, brittle and more prone to splitting and falling out. Therefore, it is indispensably important to maintain the level of minerals to keep your body fit and fine and hair lustrous and shiny. Rich greens like kale, brussels sprouts, spinach, corn, beans and fresh fruit are the suppliers of all the essential minerals. Let us begin with the food products which are truly unhealthy for hair. Yes, excessive intake of certain foods could prove to be harmful in the long run. If you are not conscious today, you might have to pay the cost. Can you imagine your life without the colas? Can you deprive yourself of the candies and pastries? If yes, congratulations! Several types of researches conducted on hair fall have proved that foods that contain excess sugar are harmful for the health of hair. If you are sugarholic, it would be dangerous for you in future. Sugar is one of those food components that are highly responsible for premature graying of hair. It also damages tissue elasticity and may cause hair breakage. Like sugar, eating excessive salt is harmful to hair. Some of us are addicted to salt, and tend to have more salt than the desired amount. It is true that sodium or salt is essential for maintaining the electrolyte balance within the body, but excess sodium is harmful. MSG or monosodium glutamate is present in many palatable foods like chips, sausages, burgers, and fries. This is a typical taste enhancer that helps to increase the taste and flavor of the food. However, MSG is highly injurious to health. It is responsible for hair fall. Artificial sweeteners contain nothing good in them. They are also typical taste enhancers. Intake of excessive artificial sweeteners damages the hair follicles extensively. No wonder, regular consumption of this agent is highly detrimental to the health of hair. Some other foods that are also unhealthy for hair include fried foods, colas, excessive high animal protein, artificial edible colors, alcoholic beverages, and so on. Now, when you know how nutrition influences the health of hair, you should be careful in selecting your foods in future so as to attain healthy and voluminous hair. Eat right and stay beautiful! The secret to a shiny and voluptuous mane is no longer just the result of using expensive hair products. To get rich, strong and shiny hair, you must follow a healthy and balanced diet.